I’m really pleased to have gone to see this movie locally with my dad. It was so good that I went back a few days later to see it again with my mom, so now it’s a family affair (as these things should be). 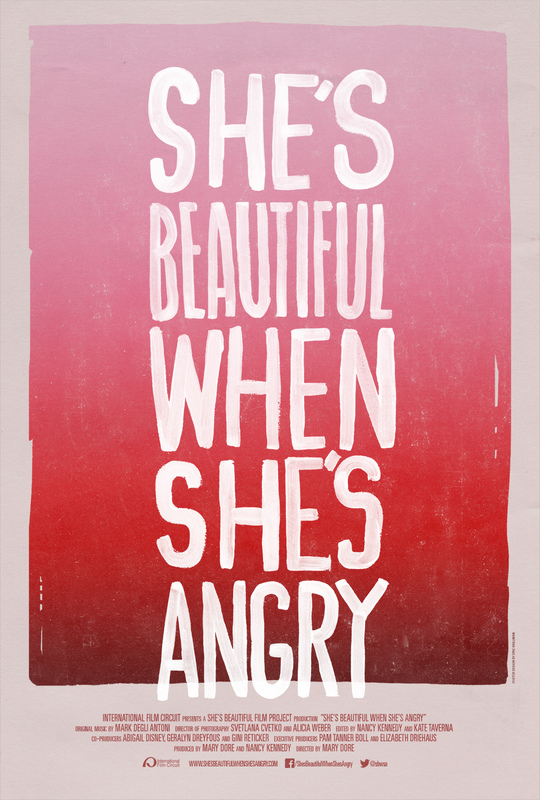 She’s Beautiful When She’s Angry is a recently produced history of the women’s movement of the 1960’s and 70’s. It was nice to see it with my parents, who were there, and involved. The movie includes historical footage of protests, speeches, news media, and interviews; contemporary interviews of activists who were involved in that history; the odd performances by actors; and reenactments. So many things struck me, and I’d like to point out that while I was often shocked by the horror, and the bravery, I was not surprised. Does that make sense? For example, the divisiveness of the movements – civil rights, women’s rights, peace – is unsurprising but will shock and dismay me every time. When a woman leader got up to speak in front of a crowd of “New Left” men, and they booed and catcalled her, I was (sadly) unsurprised, but astounded nonetheless. 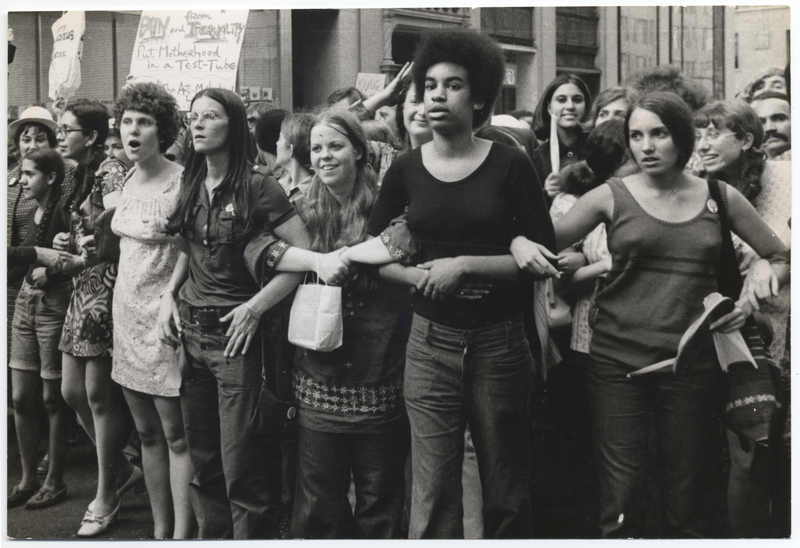 When the women’s movement ostracized its lesbian members, likewise. 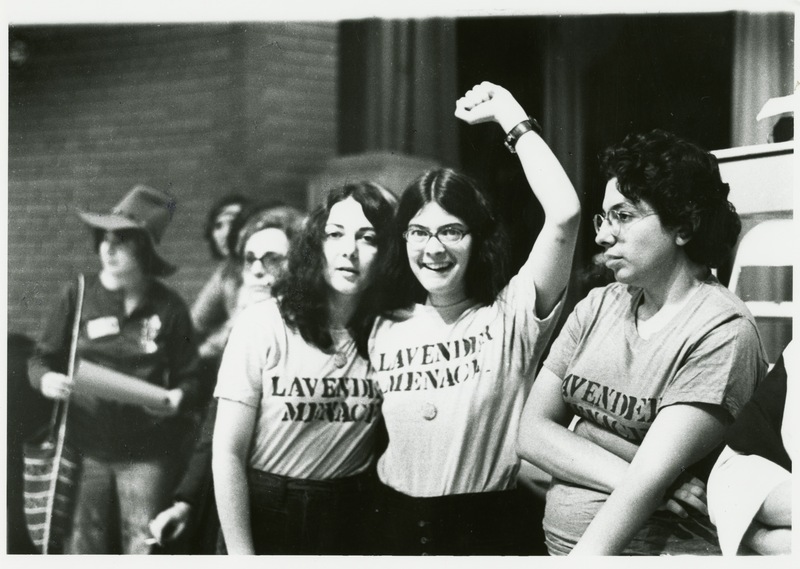 I enjoyed learning for the first time about the “Lavender Menace” action at the Second Congress to Unite Women in New York City on May 1, 1970. The need was unfortunate, but the demonstration was great fun, gave me joy. For that matter, another of the revelations of this film, for me, was the sense of fun associated with certain direct actions throughout the movement: that’s a part of the story that I hadn’t heard before, I don’t think. I also didn’t know how close we had gotten to having legislation passed supporting universal child care (thank you Nixon for this among other criminal shortcomings). I’m glad to have been reminded of that slogan of the women’s movement, that “the personal is political.” I’ve used some variation on this myself, because it makes so much sense: when politicians talk about forcing ultrasounds, we are quite literally talking about the inside of my reproductive organs; what could possibly be more personal? And I’m sure I knew on some level that I was citing my parents and their fellows, but I’m glad to have been reminded. 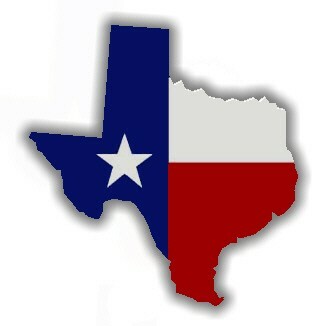 I cried when the movie got to present-day Texas, all those women in the capital protesting Senate Bill 5. I’m sorry I wasn’t there; I should have been there. Other interesting or affecting points in the film: the portrayal of our rage as a good thing (when emotion has come to be something we’re supposed to be ashamed of); and the excellent statement that the United States doesn’t like to credit radical movements with positive change in our history. Of course this only makes sense: it doesn’t behoove the powers to acknowledge that protest and civil disobedience do good. But revision of our history is a vile and insidious weapon being used all around us, and it bears noting (over and over again). Another statement of the film – I forget who made it – is that merely speaking truth aloud is a revolutionary and powerful act. Let’s not forget it. Thanks, ladies. I owe you. Sounds like a great movie. I agree about the title — it definitely plays on both levels. It can be great to take those sort of patronizing phrases and flip them around so people see what’s behind them.